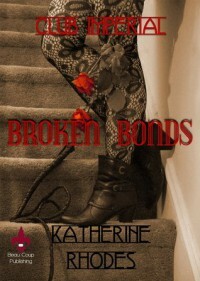 'Broken Bonds' book 2 in the Club Imperial Series is a fantastic read! This is an excellent follow up to 'Consensual'. I absolutely loved this book! It's a page turner! Highly recommend this series! Can't wait to read what happens in 'Not Quiet Juliet' book 3 in the Club Imperial Series, Silver Soul book 1. 'Consensual' book 1 in the Club Imperial Series by Katherine Rhodes is an amazing story! This is the first time I've read Katherine's work and it definitely won't be the last. I loved this story and characters. I can't wait to see what happens with Emmy and Nathaniel in book 2 of the Club Imperial Series 'Broken Bonds'. This story pulls you in and you don't want to stop reading! Highly recommend this series to all fans of romance!